The Spy brand was created by the passion of a group of over-achieving athletes and enthusiasts seeking a new visual perspective on technical eyewear products. Our values are not bound by tradition, but based on the core ideals of young-at-heart pioneers, those whose needs to express freedom and innovation are stronger than the rules and conventions of the day. Our Spy Brand DNA melds an action sports heritage with an affection for fashion-forward styling. Constantly evolving the relationship between material, function and design, our DNA generates an obsession with progress. Spy finds itself at the intersection of retro-futuristic design and optical innovation, while at the same time expressing it's identity through the iconic minds, bodies and vision of the world's greatest athletes and artists. Born and bred in North County San Diego, Spy Optic's heritage is deeply rooted in action sports. Legendary surf breaks, world-renowned skate parks, and nearby mountains make our backyard the definitive product testing ground for our employees and world class athletes. Our team riders dominate their respective professions; surfing, snowboarding, motocross, skateboarding, wakeboarding, and skiing. Spy mixes eclectic, organic and technological elements of design with action sports and pop culture to produce a product line and lifestyle that is unrivaled. All Spy sunglass lenses meet the highest optical standards, protecting the wearer's eyes 100% from UVA, UVB, and UVC rays. Spy's strategic commitment to technology is unwavering, exemplified by breakthrough optical engineering advancements such as ARC Prismatic Polycarbonate lenses, and Delta Photochromic lenses. 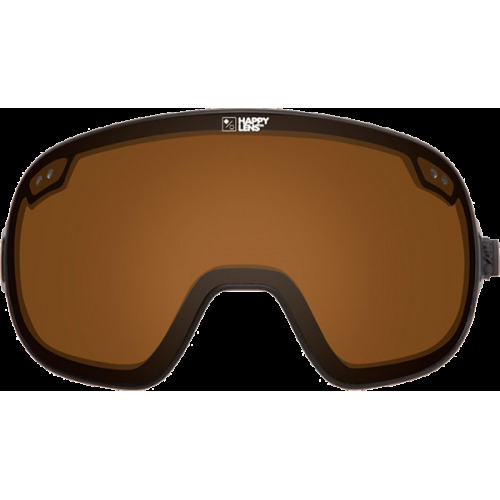 Proprietary Scoop venting frame design in both sunglass and goggles, Gemini snow goggle lenses, and interchangeable Selectron foam in our moto goggles have all exceeded existing standards in performance eyewear.